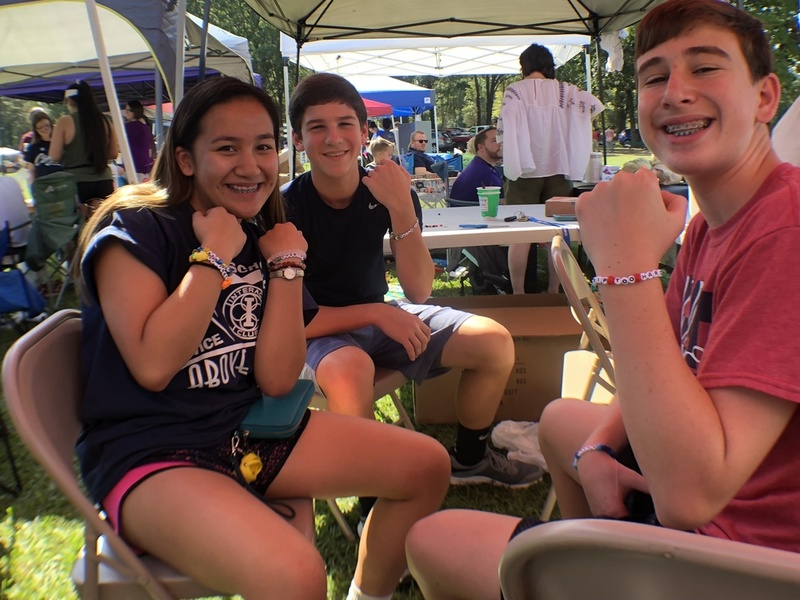 Interact Club volunteers Sydney Pham, Luke Briggler, and Luke Pope are wearing some of the bracelets they made during Conway's EcoFest at Laurel Park on October 6. The Club had a booth at the event promoting internet safety and digital citizenship. Members made beaded bracelets reflecting that purpose and they also gave away activity booklets from the State Attorney General's Office.